Progress Lighting Melon Collection Traditional/casual ceiling fixture in white color, features steel construction. Bome shaped alabaster glass bowl shade brings elegance to your interior. 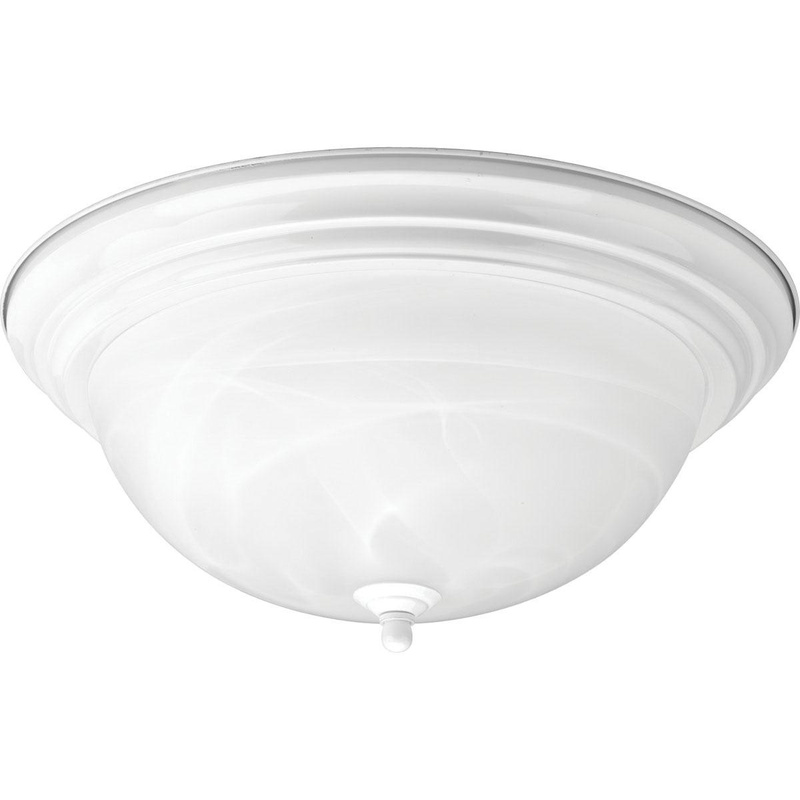 Fixture accommodates three 60-Watt medium incandescent lamps. It measures 15-1/4-Inch x 6-5/8-Inch. Close to-ceiling/chain mountable fixture has 6-Inch lead wire for hassle-free installation. It is suitable to use as bathroom lighting and/or hall and foyer lighting. Ceiling fixture is UL/cUL damp location listed.